Depending on what you’re selling at your WooCommerce store, the typical shop page might not be the best way to present your products. Instead, a WooCommerce order form can sometimes be a more efficient way to showcase your wares, especially when you need a more compact layout to display more products in the same space. 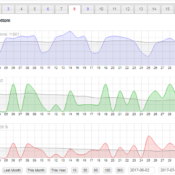 (Really) Marvellous Metrics is a WordPress plugin that can help you collect all that information, and more. It’s heatmaps, form tracking, scroll tracking, and more wrapped up into one WordPress-specific plugin. 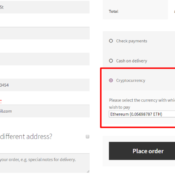 In my MyCryptoCheckout review, I’ll show you how this plugin can help you accept cryptocurrency payments on WooCommerce or Easy Digital Downloads without any transaction fees or third-party gateways. Sometimes you want to make a splash with a sale at your store. Other times, you’d prefer to keep things a bit more selective. 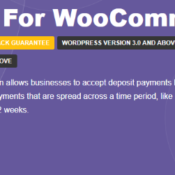 This post is about the latter – specifically, how to create a secret sale at your WooCommerce store. With a secret sale, you’ll have pinpoint control over exactly which users have access to your sale prices. Create a private category (or categories) and grant access to specific user roles or create a password to allow entrance to the secret sale categories. 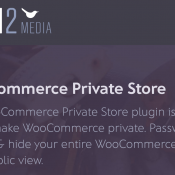 Make your entire WooCommerce store private so that only authorized users can access any part of your store (including the sale). Need to create a private WooCommerce category that only authorized users have access to? 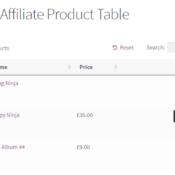 With the right tools, you can make one or more categories on your store completely private. 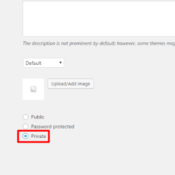 Then, you can either give automatic access to certain user roles that you specify or give users a password that they can use to access the private category. Separate category of wholesale products that only certain users have access to. Private category that’s just for members, like if you’re running a membership site and want to offer a special set of products to just those members. Your own niche use. I’m sure you can think up lots of other site-specific uses! Love them or hate them, popups, especially those that push people to subscribe to your email list, are a digital marketing tactic that is here to stay. But if you want to dip your toes into the world of popups, you’re going to need a WordPress popup plugin to help you do it. To help you find the plugin that’s right for your needs, I collected some of the best free and premium popup plugins for WordPress. 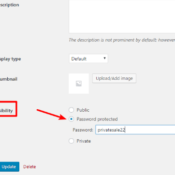 Not too long ago, I talked about the somewhat paradoxical idea of password protecting WooCommerce product categories to prevent unauthorized visitors from accessing specific categories at your store. Now, I’m going to take things one step further and show you how to create an entirely private WooCommerce store. That is, instead of merely restricting access to certain categories, you’re going to learn how to restrict access to the whole shebang in one fell swoop.